There have been many major advances in veterinary procedures in recent years with many conditions that would have required a dog to be euthanised now being manageable. Many of these require regular blood transfusions and, of course, accidents can also result in major loss of blood. Not be on any medication. Of course your dog also needs to have a good temperament and be happy with basic veterinary procedures. 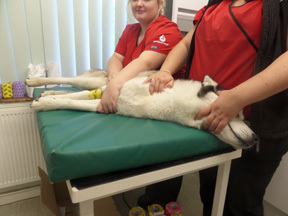 The Pet Blood Bank UK is run as a voluntary scheme just like the NHS human blood bank. When you arrive at the clinic, you will need to fill in a short form and your dog will be weighed and receive a health check. 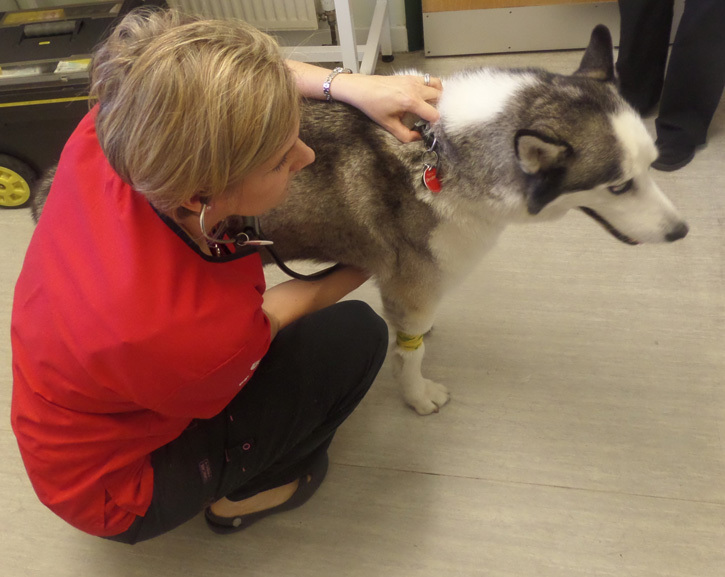 The nurse will then clip a small patch of hair and take a small sample of blood which is spun down to check that your dog is fit and able to donate. Your dog will then be placed on the table to make a donation of just under a pint (a whole paw full!) This is a painless procedure done with your dog fully conscious. Just like humans who are offered tea and biscuits after making a donation, your dog will be offered a tasty snack – this is usually the most eagerly anticipated stage as far as the dog is concerned! Your dog will then be ready to display his achievement proudly on the Pet Blood Bank gallery. Providing all the above criteria are met, your dog can make four donations a year of much-needed blood that can help to save the life of up to four other dogs. 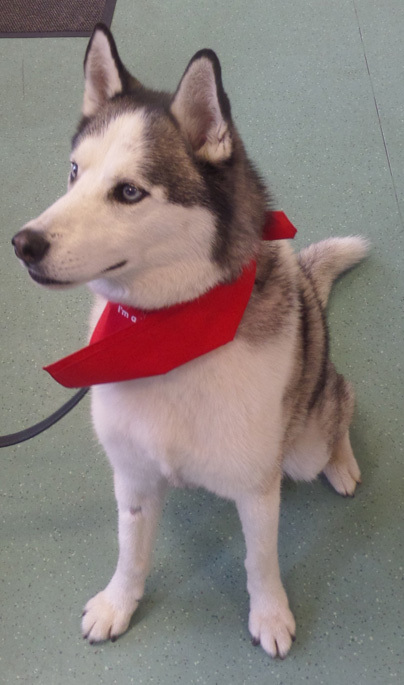 If you would like to know more, go to the Pet Blood Bank UK website where you can find the nearest participating vet.